Aymeric Barthès, Naïo Technologies Co-Founder and CEO. 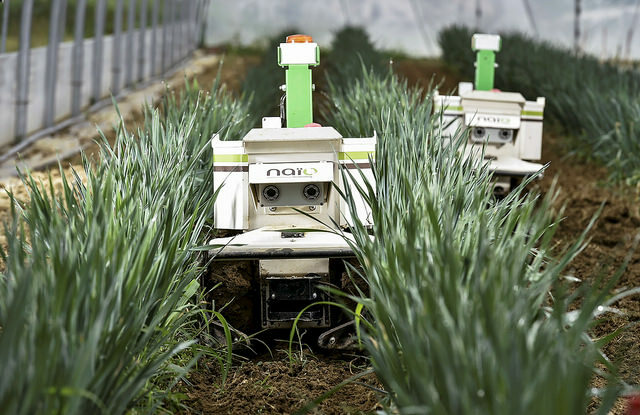 One to watch in the growing agribotics niche is Naïo Technologies out of Toulouse, France. The company has a trio of robots that have been fully commercialized, ranging in size from the small Oz robot, which is well suited to working in smaller fields or greenhouse environments, to the larger Dino that is designed for larger-acre vegetable production systems. 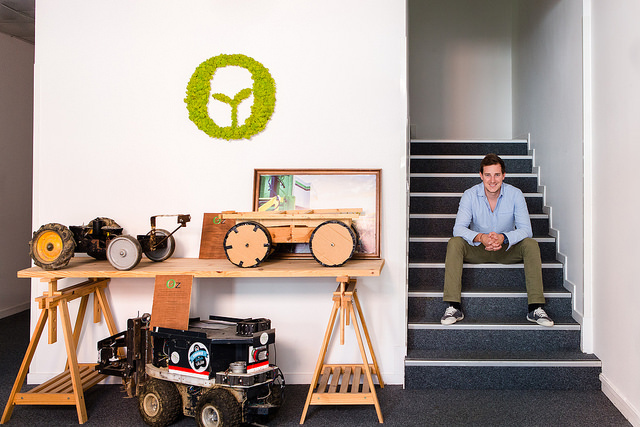 Co-founder and Chief Executive Aymeric Barthès recently sat down with PrecisionAg Professional to discuss the rising prominence of robotics in ag tech and where Naïo is headed. PrecisionAg Professional: Can you tell us about the vision for Naio Technologies? How did it start and where is it headed? Naïo Technologies was created by myself and Gaëtan Severac. Both of us are robotic engineers. 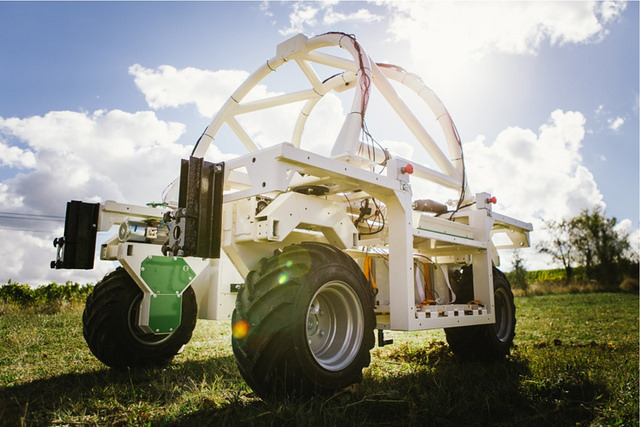 In 2011, as two freshly graduated students and with agricultural backgrounds, we took the opportunity to develop robots geared toward one of the major problems in today’s fields: weeding. From start-up to young, promising company, Naïo has the willingness to both provide a smarter and greener alternative to solve weed issues and accompany growers in making changes to their weeding practices. Naïo Technologies’ vision is that the agricultural sector is in the process of transformation. Farms as we know them today will not be the same in 20 years. Changes are already happening and soon, growers will manage their farms with new techniques and tools that will allow them to produce better quality with better profitability. PA: How will robotics fit into the current agronomic picture where agrichemical use is so relied upon and prolific? It is a question of perspective. The agricultural market is a very large market. 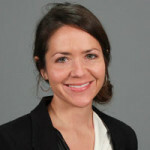 Once you have learned about organic, conventional, and intensive, many other technical and financial differences appear. In France and Europe, robotics will quickly fit into the agronomic picture, mainly because organic farms cannot afford labor anymore. Robots and all new technologies are already bringing growers a much easier way to manage their farms. On the other side, there are countries where spraying agrichemicals or employing labor is still more profitable than investing in robotics. In these countries, the robotics market will develop itself but it will probably take more time. PA: What about your international expansion plans? Naïo Technologies is already present in several countries in Europe and around the world. Agriculture is an international sector and it is logical for Naïo to offer its products worldwide. In all countries where you can find Naïo’s robots on fields, even in France, the company has chosen to make local distribution partnerships. This choice has been made in order to provide our customers the best training to the technologies and close customer care service. Today, Naïo is present in Germany, Switzerland, UK, Denmark and Netherlands. The company wants to keep growing on the international stage by including USA and Japan. As Naïo is aware of the international potential of agriculture, we plan to have half of our turnover at the international level by the year 2020. PA: Do you see your technology utilized the same way in other regions as it is in France, or are there modifications? As said earlier, agriculture is very diversified. The robot is not adopted or used in the same way everywhere, even between regions in France. The company did not invent weeding tools, but weeding robots. This means that Naïo is giving customers an opportunity to work with a strong weeding machine basis, with which each grower is free to adapt the robot as suits him the best. On the other hand, Naïo has to adapt its product to the local market. For now, the big adaptations are for the USA and Japan. Indeed, unlike European countries where radio frequencies and standards are the same, USA and Japan necessitate significant adaptations. 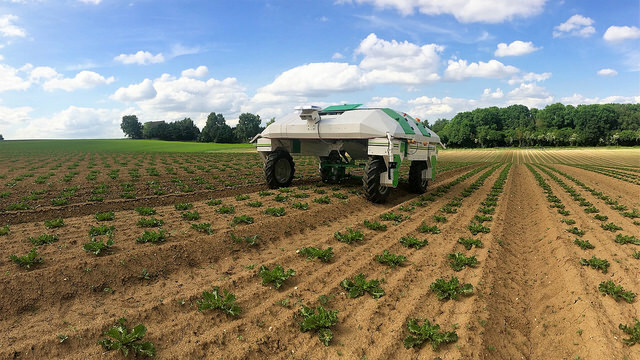 PA: What is the cost of this type of technology for the grower versus traditional agrichemical use to treat weeds, and how long does the process take? The cost for an autonomous weeding robot and its profitability will depend on where the grower starts. Typically, if the grower is weeding by hand, profitability will be reached faster than for a grower weeding with tools on a tractor, or herbicides. For example, one of our customers has saved 700 hours of work in one year, because he was weeding manually before introducing Oz to his field. Dino, the vegetable robot at work. PA: Can you walk us through an example of how the technology works and how a grower would use it on a typical day? When the day has come to weed his field, the grower will start his robot and drive it to the field thanks to the joystick on the remote control. Once the robot is settled in front of the first row, the grower programs the robot with information, such as the number of rows, distance between them, growing stage of the crop, sense of U-turn and others. Then, the robot will start its work by putting the tools in the ground. The robot guides itself thanks to two cameras and one laser. So, it is able to follow the crop line and adjust its path according to what it sees. At the end of the first row, the tool holder will autonomously come up and the robot will start its first U-turn. At the end of the weeding task, the grower receives a text message that indicates “work done.” The grower can pick up the robot, drive it to another field or use it as an assistant thanks to its traction power of 300kg. After eight hours of work and up to 1 hectare weeded, the robot will need to be charged in order to be ready for the next day. PA: What are the technology’s chief limitations and benefits versus agrichemical use? A conventional grower will be able to decrease his use of agrichemicals and it may help him convert to organic farming. An organic grower will find advantages in the reduction of his physical work, but it also saves time and helps grow organic food in a much easier way. PA: How is it marketed and sold and can you tell us about how it has been received in France? Naïo Technologies is an innovative company. Product development takes time and organization. With each of our robots, development starts in our offices in Toulouse. Once we have reached a certain stage, Naïo looks for development partners. These are growers that offer feedback and help us finalize the robot, which is essential to future customer satisfaction. French growers can choose to buy their robot directly from Naïo Technologies, or from one of our local distributors. In foreign countries, we decided to enter the market only through local distributors. These are partners that help Naïo to develop our activities and are very important to growers’ training and customer care service. For every new innovation in a new market, you find you have different types of adopters. Naïo had the chance to find early adopters that believed in the project and helped build the reputation of the product. With time, our customer family has grown because more growers are convinced by the technology. Thanks to trade shows, media, and public demonstration, the robot has been well received, because it fulfilled a need. Growing vegetables today in Europe is getting difficult, because labor costs are growing and agrichemicals are less and less appreciated by the end consumer and political interests. Naïo Technologies has provided a convincing robot matched by great customer service. Developing an innovation like this in a new market means you must always listen to feedback and learn every day about your environment.